Reversible; tropical bird print on the front reverses to micro-leaf print on the back. 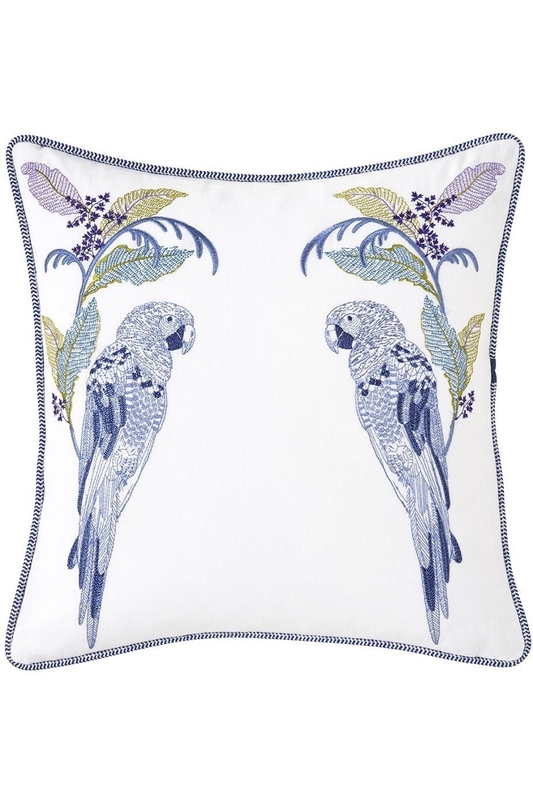 Tropical bird print with bias finish along top edge. Reversible; tropical bird print on the front reverses to micro-leaf print on the back. 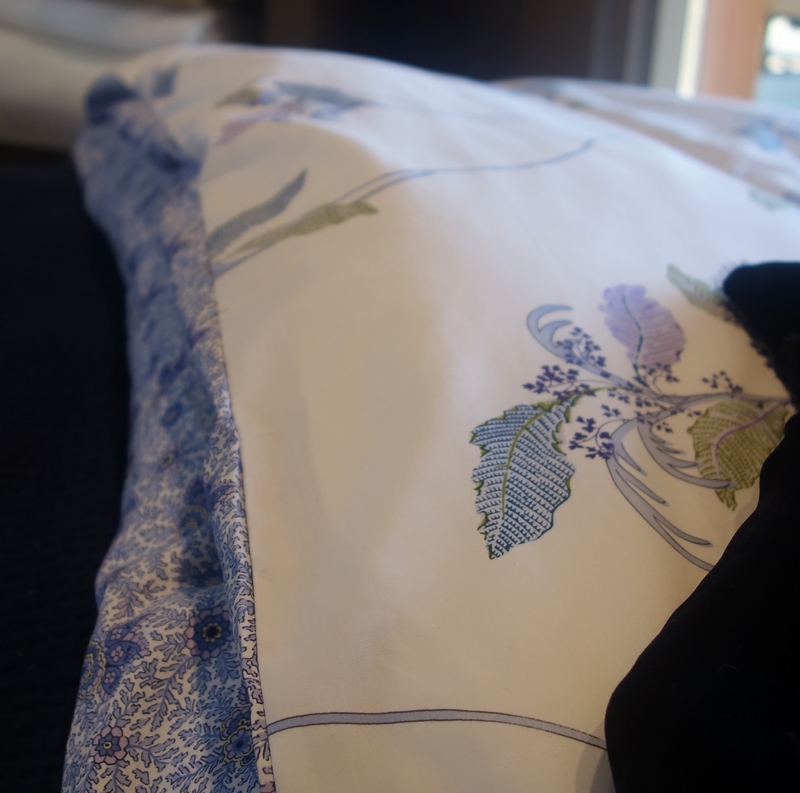 1" hem, polyester padding and spiral stitching. 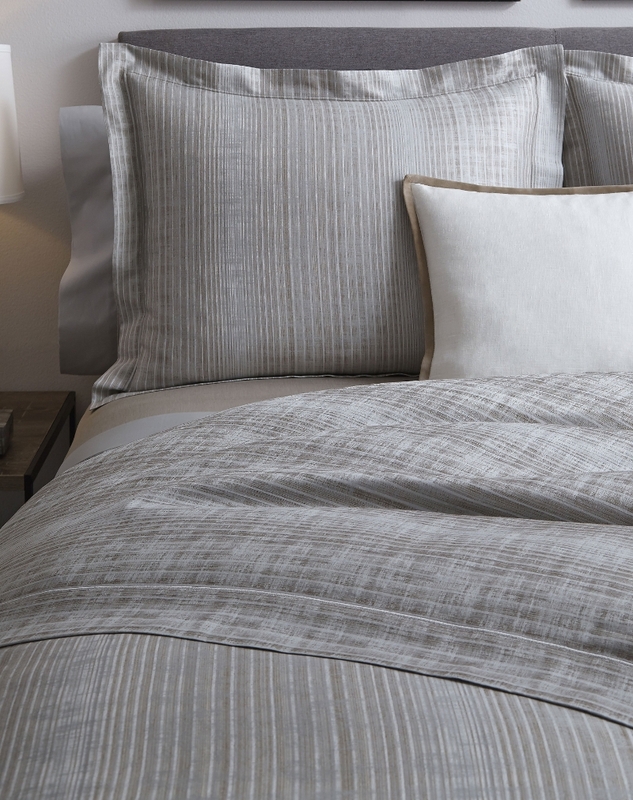 Textured front reverses to solid color cotton percale. 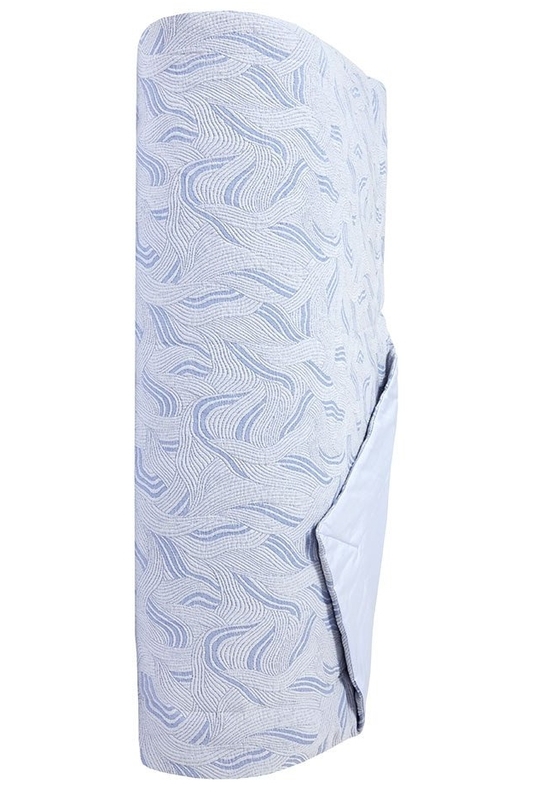 Polyester padding, 2" mitred corners. Also referred to as Bed Runner. 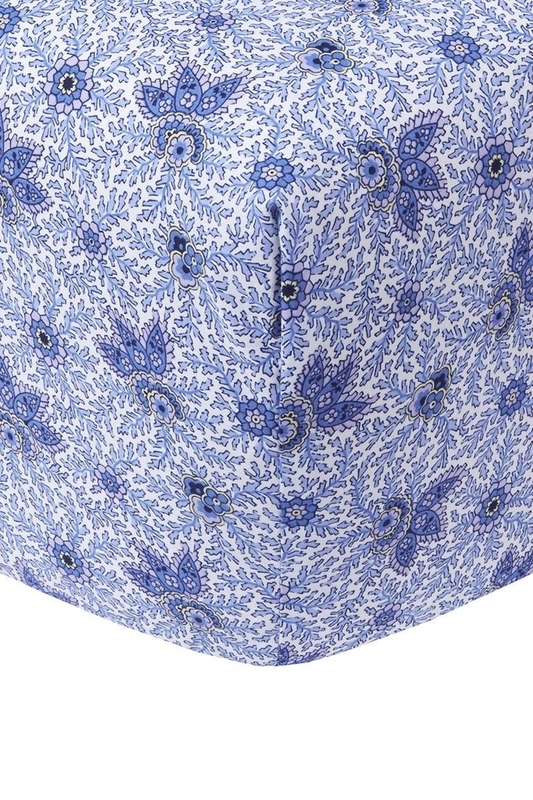 100% linen; embroidered front reverses to solid back. 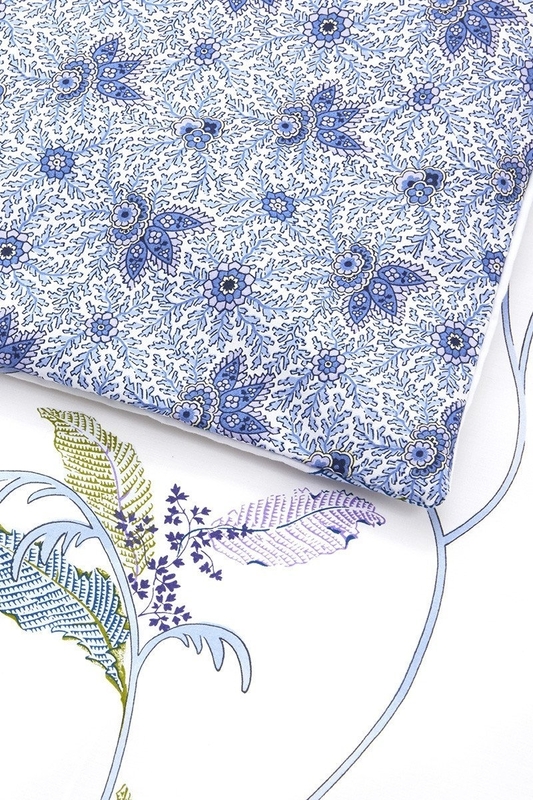 New for 2019, Yves Delorme's Plumes collection combines gentle combed cotton, nature inspired tropical prints, and peaceful lavender hues in a versatile, reversible design scheme. 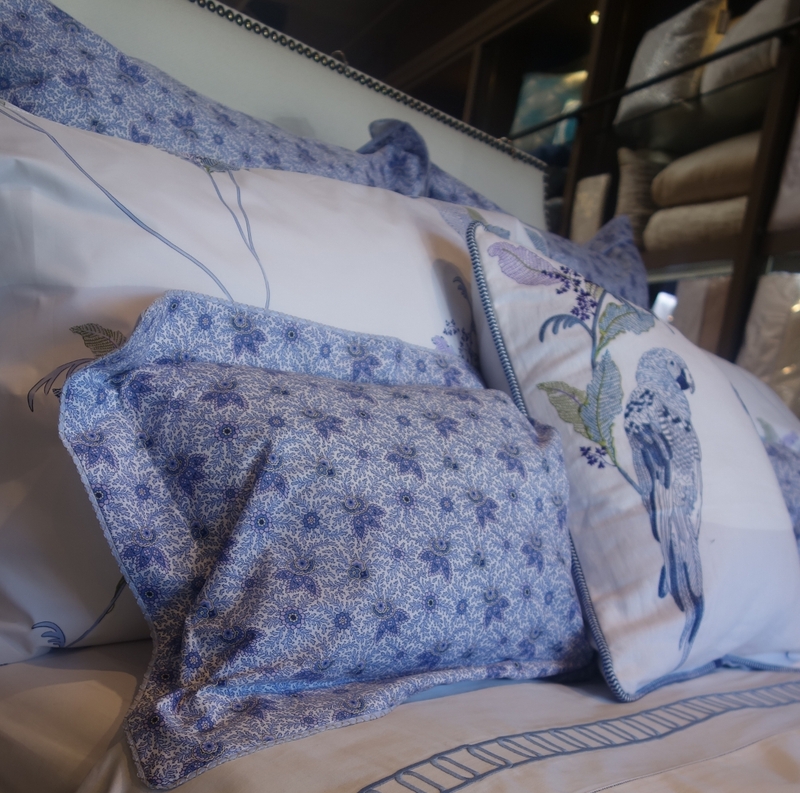 The duvet cover, sham, and quilted coverlet feature a tropical bird print atop white cotton, while reversing to a lavender "micro-leaf" print. 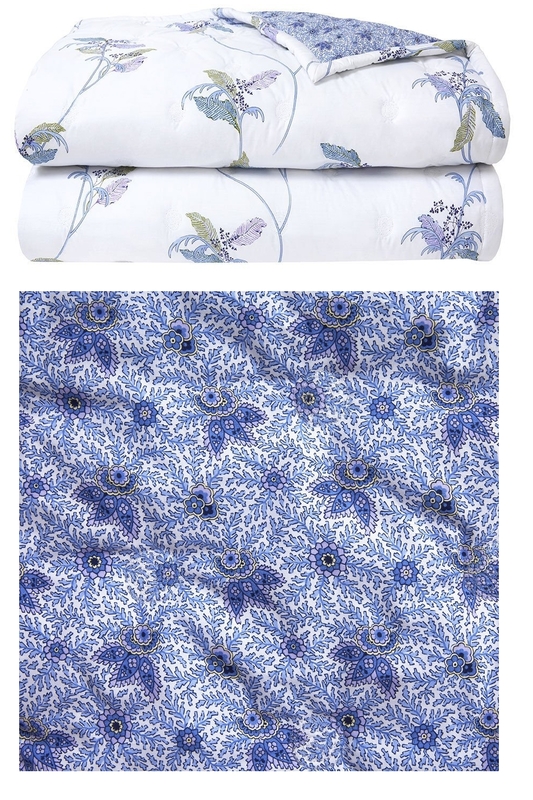 The flat sheet, featuring the tropical bird print, is not fully reversible. 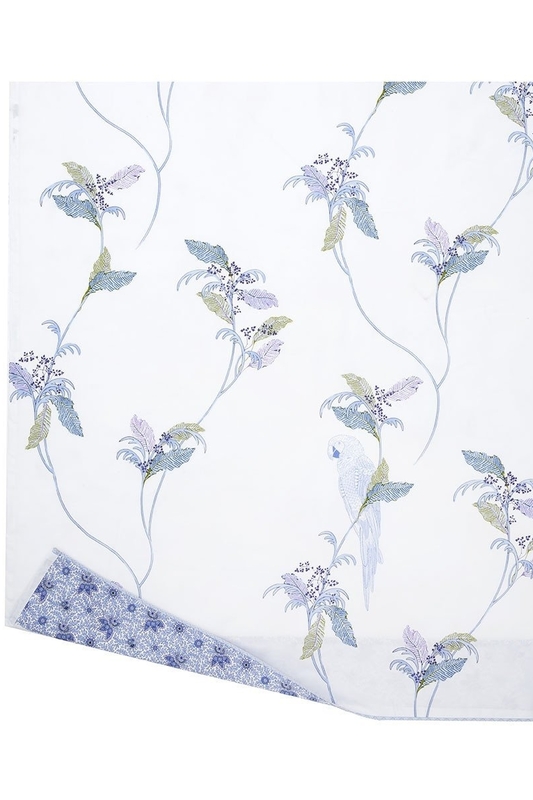 It instead features a reversible, bias finish along its top edge. 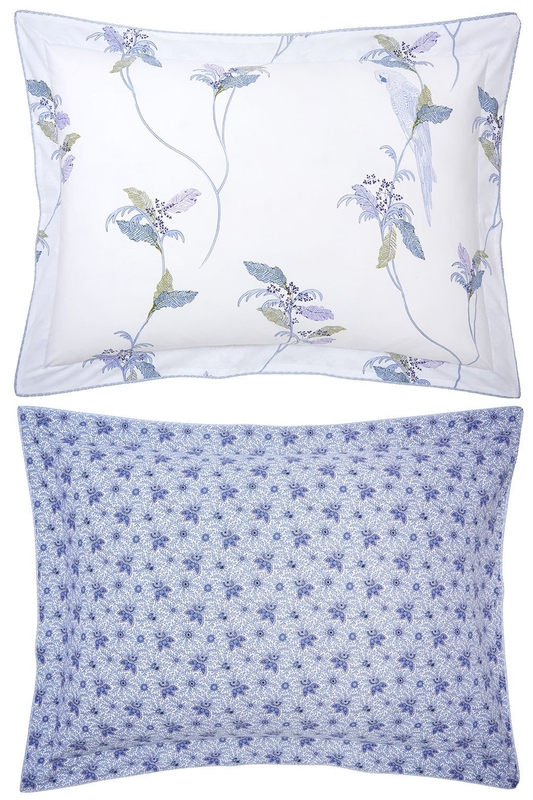 A contrasted throw blanket and embroidered linen dec pillow fill out the bedding collection. 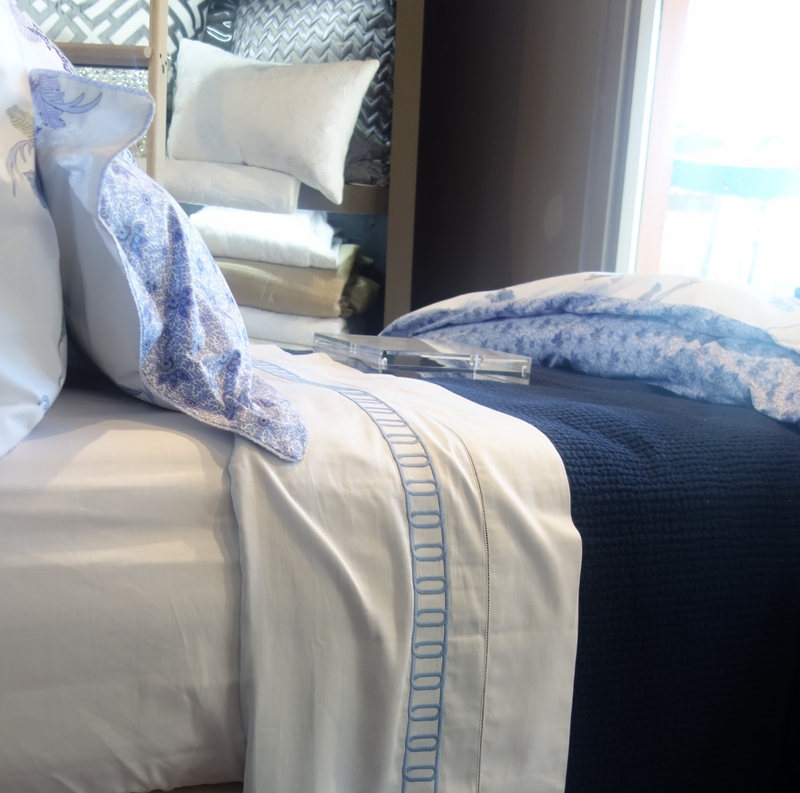 Matching bath and table linens are available as well. 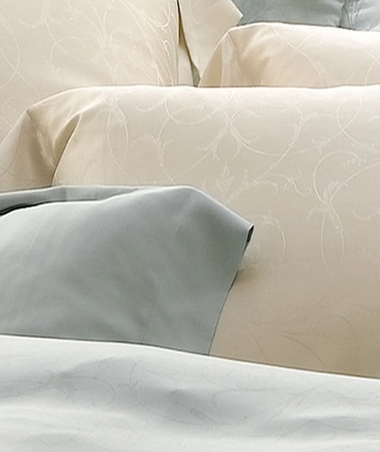 The sheeting is woven of long staple combed cotton percale.